Curb Appeal, a locally owned OKC Residential and Commercial roofing company, is one of the few GAF certified roofing contractors in the Oklahoma City metro area. 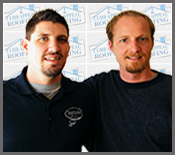 In business for 35 years, Curb Appeal Roofing is a full service company specializing in new roofing, re-roofing and repairs. Our expertise also includes exterior restoration and remodeling work, flat and shingle roofs, fencing, siding, gutters and painting. We provide all the services you need to make your house beautiful! Estimates provided by seasoned professionals with up to 35 years of experience. Composition Shingles, Cedar Shakes, Glazed Tiles, TPO or Galvanized Steel. We offer a true non pro-rated lifetime warranty under GAF certification. We ensure compliance with state and municipal building codes for both commercial and residential.